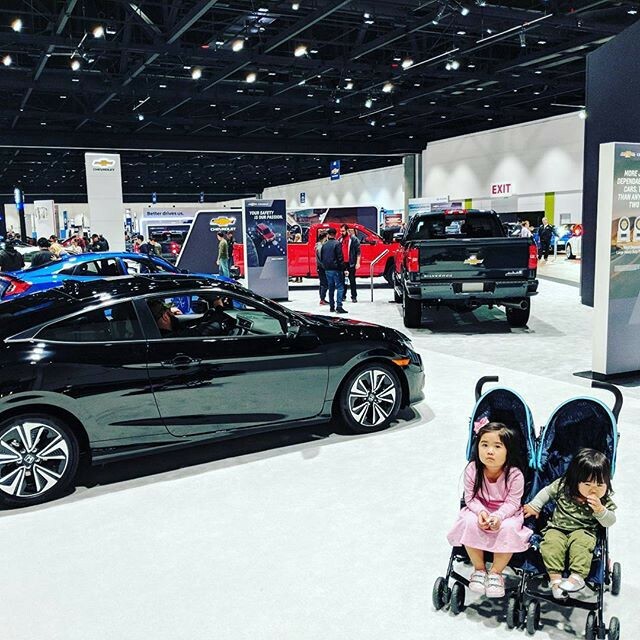 San Jose had an auto show a few days ago. Cool opportunity to see next year’s models all in one place. Note the two mildly interested children in the stroller. Actually, they had fun tagging along & crawling around the backseats of various cars.